The show is just a few days away, and we’ll be there to cover it! For those of us that are into luxury and exotic vehicles, Monterey Car Week is, hands down, the best event of the year. The world’s finest automobiles grace us with their presence, and there are so many different things going on. This year you’ll get to experience The Quail: A Motorsports Gathering, the Concorso Italiano, and the biggest highlight of all is the Pebble Beach Concours d’Elegance that takes place this year on August 21st. Manufacturers also love to use the venue as a place to show off new designs and new concepts, and this year is stacking up to be quite the show. We’re expecting to see the new Mercedes-Maybach Concept, Elvis Presley’s BMW 507, and it wouldn’t surprise us if we saw something fresh from Lamborghini thrown into the mix – think Huracán Superleggera, maybe? On top of that, we’ll get a chance to check out the McLaren 570GT and the 570S GT4, and might even get a look at something new from Genesis now that the new luxury brand is finally up and running. This year, we’ll have staff members on the scene to bring the news as it happens, and hopefully, they won’t get caught up in that nasty Soberanes Fire. As of the time of this writing, that fire is now 60-percent contained and has yet to hamper Monterey Car Week. We’ll be reporting live on our Facebook page throughout the event and will be quite busy keeping up with all the new developments. Until that happens, however, let’s take a closer look at what we can expect from what is, arguably, the best car show of the year. Continue reading to learn more about the 2016 Pebble Beach Concours d’Elegance. The Concours d’Elegance can trace its roots all the way back to 1951 when the first event was held alongside the first Pebble Beach Road Race. Since then, the event has grown tremendously, attracting the finest vehicles in the country and a number of random celebrity appearances. Last year, celebrities on site included Jay Leno (big surprise there) Arnold Schwarzenegger, and even Jackie Stewart – all of which were there just to enjoy the show just like everyone else. 2015 was also a huge milestone for the Concours as it raised $1,900,641 for charity, officially pushing it over the $20 million mark since its inception. The Vision 6 has been teased for the last week or two, and images of the car were leaked just a day before its official debut. Very little is known about the car as of yet, but we do know that this thing is massive, measuring in at 19.7-feet long, which is about the same length as the extended-wheelbase Rolls-Royce Phantom. We’re expecting the car to feature a bunch of new technology and an electric drive system. And, just recently, we’ve learned that the concept will, in fact, have gullwing doors – making this one interesting concept that we can’t wait to see. 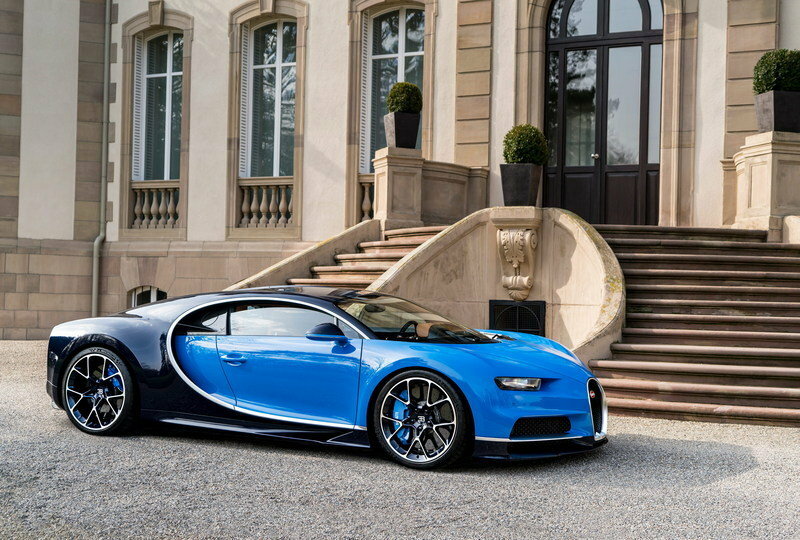 The Bugatti Chiron has already made its long-awaited debut at the 2016 Geneva Motor Show, but now we finally get to have a good hard look at it in the carbon at Pebble Beach. With a $2.4 million price tag and an 8.0-liter W-16 engine, this is one car you don’t want to miss. It has an insane 1,479 horsepower and 1,180 pound-feet of torque – enough to get this puppy to 60 mph in 2.5 seconds with an estimated top speed of 261 mph. And, this will also be the first time the car is appearing next to the Vision GT Concept at an event. Created as part of the Gran Turismo 6 Vision GT Project, the Vision Gran Turismo is a Bugatti’s expression of what a real quasi-racing Bugatti would look like. Because it is designed for the virtual world of Gran Turismo, it doesn’t have to stick to the various regulations that limit cars that we use in the real world. 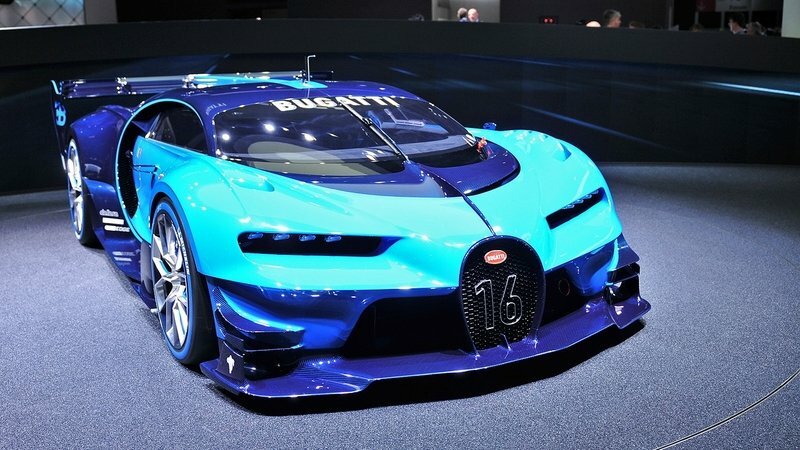 Bugatti actually went so far as to make it’s virtual car a reality, but we still don’t know too many specifics. We believe it is powered by a W-16 that, as rumors suggest, has around 1,500 horsepower and 1,100 pound-feet of torque. It will be showcased next to the Chiron for the first time this weekend. Whenever Lambo releases a new model, there are always two other versions that follow. The first is a roadster form, and the other is a light-weight iteration that Lambo calls the Superleggera. Lambo brought us the Huracán, and not long after that, we started receiving spy shots of the Huracán Superleggera testing on the Nürburgring. The last we heard about this model, was from a video that exposed the sound of the exhaust of the updated V-10 engine hidden away below its gorgeous body. 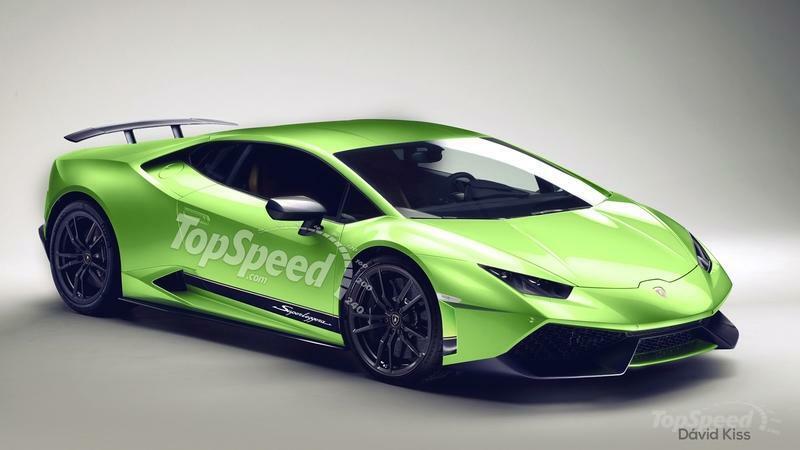 While it has yet to be confirmed, we’re hoping Lamborghini will pull the sheet of the super lightweight model at Pebble Beach because, well, name a better place. We’ll be keeping our eyes open for this one, so check back with us later this week to see if it does, indeed, make an appearance. Read our speculative review and see all the spy shots here. At this point very little is known about Cadillac’s newest concept, except for the fact that it is scheduled to make its debut on August 18 during Monterey Car Week. So far, all we’ve seen is a video that shows a brief shot of the interior and some wild looking technology that makes up the driver information center, instrument cluster, and infotainment system. We don’t know anything about what the car itself will look like, but if the technology teased in the video is an indication, we’re in for a pretty wild concept car. We certainly can’t wait to see it, and will bring you the latest pictures and news when it makes its debut. Read the story and see the teaser video here. 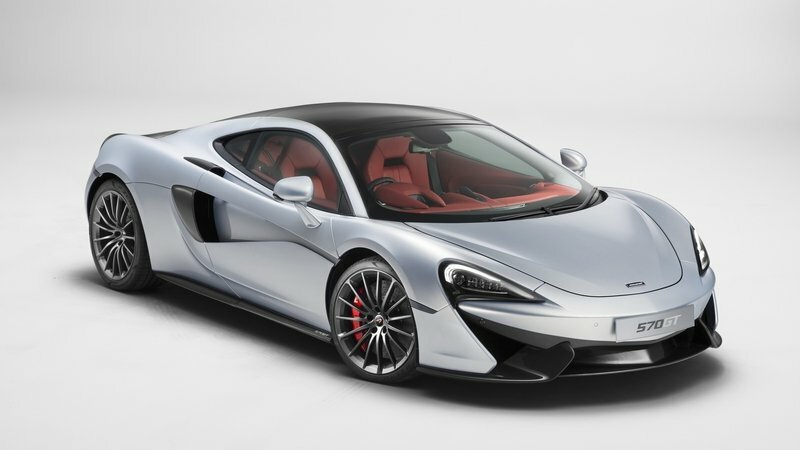 The McLaren 570GT made its debut earlier this year during a media event on the island of Tenerife, but to date, it hasn’t been shown off here in the states. All of that will change this week as Monterey kicks off and McLaren shows off the 570GT to all of us on this side of the big blue. It’s not going to be the wildest car at the show, but with 562 horsepower and 443 pound-feet of torque from its 3.8-liter V-8, it’s not exactly your grandma’s Sunday driver either. For the record, it can hit 60 mph in 3.4 seconds on the way to an estimated top speed of 204 mph. There’s almost always at least one surprise at the show that we had no idea of prior to the day of the event. Last year, Hyundai surprised us with the Vision G Coupe concept, which was quite odd considering that Hyundai normally isn’t associated with MCW. This year, it is quite possible that Hyundai or more likely, Genesis, could show up with some new concept or model. We know the brand will eventually come out with a G70 luxury sedan, a sporty coupe, and a pair of SUVs, all of which could very well show up at the show. This year, there are a total of 21 different classes at the Concours d’Elegance. As you would expect, the classes include Antique Open and Closed; American Classic Open and Closed; Duesenberg, Rolls-Royce, and Mercedes-Benz Prewar; Ferrari Grand Touring; Ferrari Competition; Bizzarrini; and even a BMW Motorcycles class, among others. At this point, we don’t know exactly what vehicles will be entered into the show, but a recent press release claims that Giotto Bizzarrini’s first automobile will be there as well as EVERY Ford GT40 that has won a major international race. Now that should make for quite a show. 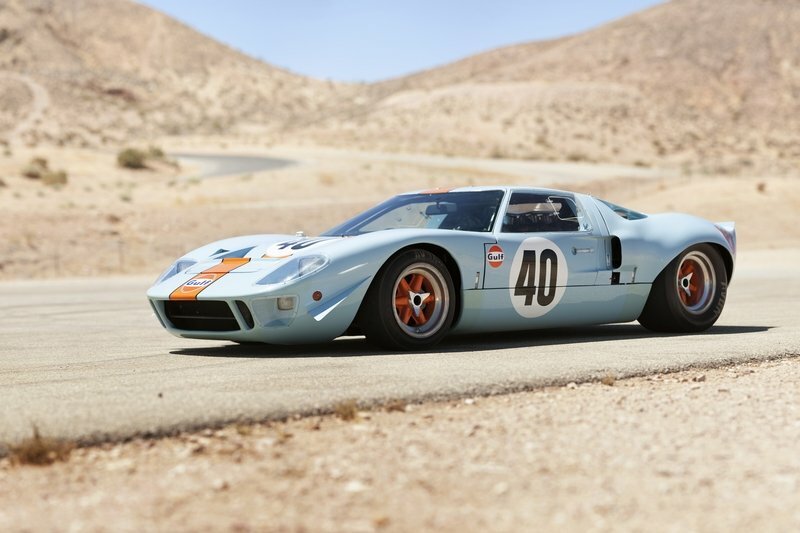 Check out our full review of the 1964 to 1969 Ford GT40 here. If you’ve never actually been there, it’s kind of hard to understand the scene and atmosphere at the Concours d’Elegance. To start off, you’re on one of the most beautiful Golf Courses in the country and surrounded by some of the finest cars ever made. Some cars are all original while a good majority have been restored at one point or another. Celebrities are often seen walking around among the crowd expressing love for the same cars that you are, and the overall ambiance is just happy and pleasurable. Take a look at our coverage last year’s show to give yourself an idea of what you can expect. When: The Concours field opens to entrants at Dawn on August 21. Judging begins at 8:30 a.m. and spectators are allowed onto the field starting at 10:30 a.m. Awards are presented between 1:30 p.m. and 5:00 p.m.
How: Tickets start out at $375 for general admission. If you’re going for Club d’Elegance VIP tickets, you’ll have to pay $750 each. Going for the Chairman’s Hospitality Package will set you back $2,500. Click here for directions to the show and click here for maps of the concourse.